In December, Congress failed to renew the Violence Against Women Act (VAWA). The federal government is currently working to reauthorize an updated version of the law (which helps protect women from domestic violence), but there have been many road blocks. And now, the NRA is taking a stand against the bill, which could keep it from passing. 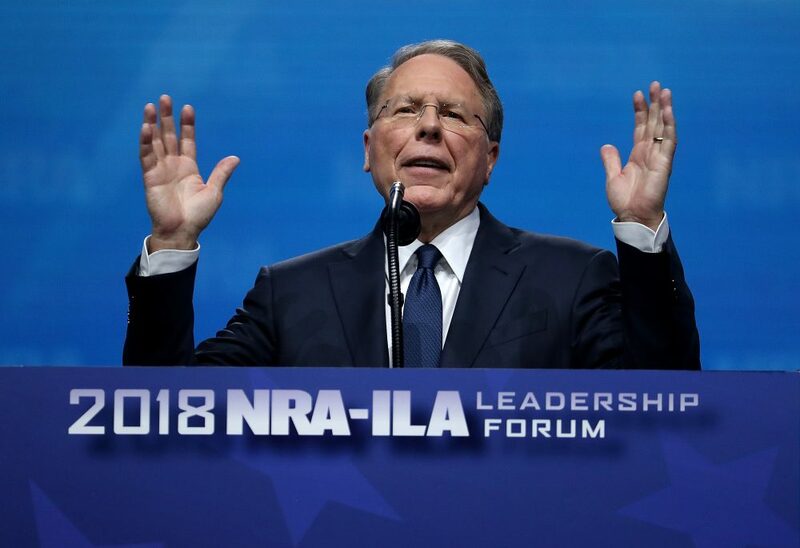 "The NRA opposes domestic violence and all violent crime, and spends millions of dollars teaching countless Americans how not to be a victim and how to safely use firearms for self-defense," NRA spokeswoman Jennifer Baker told National Journal. "It is a shame that some in the gun-control community treat the severity of domestic violence so trivially that they are willing to use it as a tool to advance a political agenda." ABC News notes that out of 20 mass shootings in 2018, ten of those involved intimate partner or family violence. According to the Giffords Law Center to Prevent Gun Violence, women are five times more likely to die if their abusers have access to guns. Basically, the NRA is completely ignoring the real issue. And although domestic abusers are prohibited from owning guns, loopholes in federal laws mean that they often slip through the cracks. The Giffords Law Center points out that convicted abusers often don’t have to give up their firearms, convicted stalkers aren’t banned from owning guns, and federal laws don’t apply to unmarried partners. Per The New York Times, the latest iteration of the Violence Against Women Act would address some of these loopholes by protecting victims of stalking and preventing people convicted of violent misdemeanors from owning guns. It’s downright appalling that the NRA would oppose legislation that aims to protect potential victims of domestic violence. We need the Violence Against Women Act, and we need to close these loopholes in federal laws.